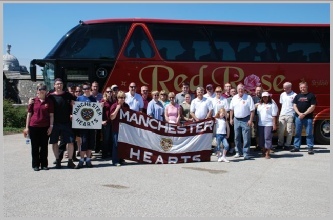 The club has been running a number of busses a season to games in recent years and all Hearts recent European adventures have been attended by the club. 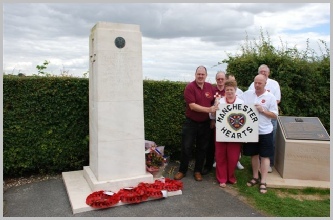 In 2008 the members visited Contalmaison and the War memorial. 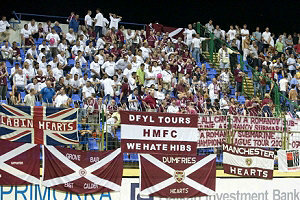 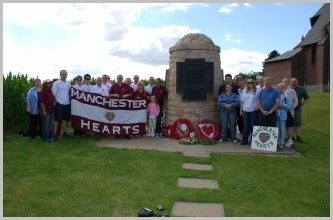 and lifelong Hearts supporters along with Mike Van Fleck who originates from Bolton. 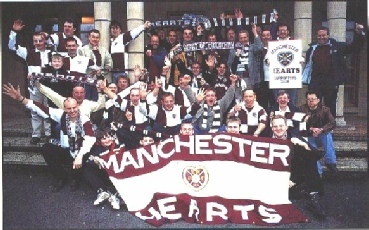 In addition to gradually recruiting other members, they also launched their own fanzine, 'Heartbeat,' which seasoned Jambos may remember. 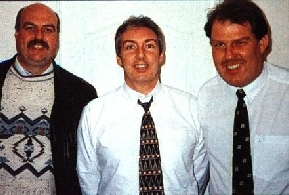 Many hours were spent at Des's kitchen table as they typed articles, pasted pictures and stapled pages together - Neil Berry was a regular columnist for the first few years. 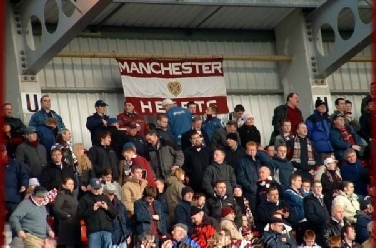 Though scattered throughout the North and Midlands of England members of the club come together regularly for matches and the Manchester Hearts flag has become a regular sight at most Hearts games. 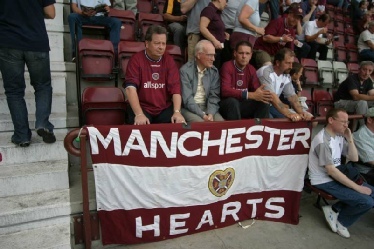 The majority of members are exiled Scots who have been lifelong Hearts fans, although a large number hail from south of the Border but have been converted to the Jambo cause. 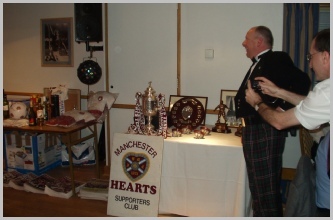 One of the highlights for the club every year is the Player Of The Year dance which has been held at a number of local Football grounds in recent years. 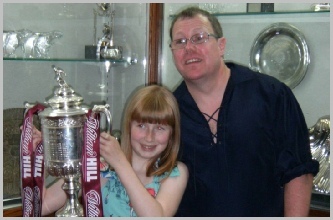 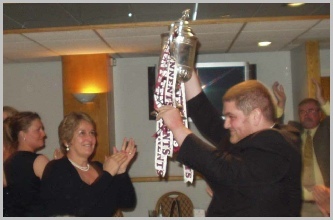 In 2006 & 2012 the Scottish cup made an appearance at the event much the delight of those attending.